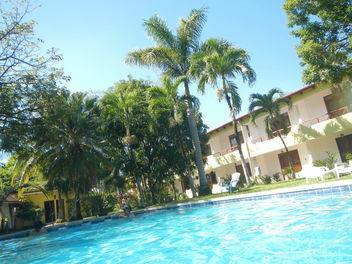 Guanamar is located in Playa Carrillo on the Mid-Pacific coast of Costa Rica. Playa Carrillo is one the most beautiful and unspoiled beaches in Costa Rica, where the exotic fauna and flora remain untouched. 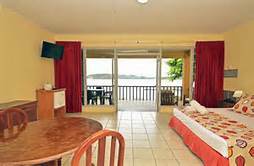 Sitting in the hotel’s bar, you have a great view of spectacular sunsets and smooth waves washing up on the white sand beach. The hotel’s open-terrace Bar and Restaurant offers one of the most memorable views of Carrillo bay and beach. Sitting comfortably about 50 feet above sea level, the cool ocean breeze will awaken your appetite for the local specialties, such as the hotel’s famous seafood salad, jumbo shrimp and fresh lobster. 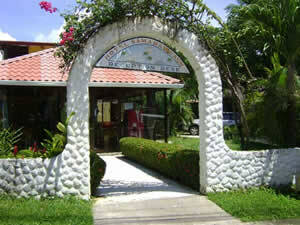 The restaurant offers a wide variety of dishes from pastas, to salads and favorite cuts of meat. Mahi Mahi is our restaurant opens from 6 a.m. to 9 p.m. In our bar named Marlin you can enjoy cool beers, great variety of liquor and amazing cocktails, share the spirit of domestic people and foreign visitors. Opening at 4:00 p.m. until 10:00 p.m.